Andargachew Tsege, 60, the leader of the outlawed Ginbot 7 group and who was granted political asylum in Britain, was convicted in absentia in 2009 for terrorism, and was imprisoned a year ago after being controversially extradited from Yemen. "Death sentences are very rarely carried out by the court in Ethiopia. His sentence might be commuted to life imprisonment, but he won't be pardoned, he won't be released," government spokesman Shimeles Kemal told AFP. "He is an incorrigible criminal and a recidivist who tried to overthrow the Ethiopian government, plant bombs and who organized unrest after the 2005 elections." Ethiopia accuses him of also training opposition groups in neighbouring long-term foe Eritrea. 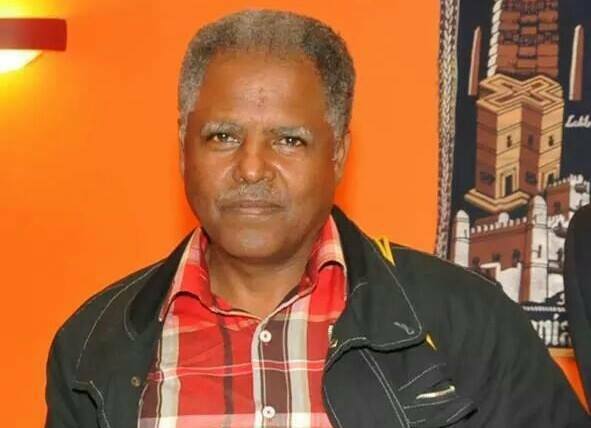 Andargachew, known as Andy, was arrested in June 2014 in Yemen's Sanaa airport en route to Eritrea, and controversially extradited to Addis Ababa, an action criticised by Britain for being in defiance of international law. Britain is one of Ethiopia's largest donors, with development aid totalling some 303 million pounds (482 million dollars, 422 million euros) for the period 2015-2016. The British ambassador to Ethiopia last saw him on April 24, the third visit permitted to diplomats since his imprisonment. A report this week by London's The Independent newspaper quoted a Foreign Office report of the meeting, in which it said Andargachew is being held in solitary confinement. "Andargachew looks physically in reasonable shape but has health concerns. And he appears in a bad place psychologically. No evidence of mistreatment, other than the solitary nature of his confinement," the report read, according to The Independent. The report left his wife, who is looking after their three children, at "breaking point", the newspaper added. London has requested he be moved to a normal jail. "The Foreign Secretary is extremely concerned about Andargachew Tsege's continued detention. That is why he has raised his case with the Ethiopian Foreign Minister on 13 separate occasions," a Foreign Office spokesman said. "We will continue to lobby at all levels, conveying our concern over Andargachew Tsege being detained without regular consular visits and access to a lawyer." Rights groups have criticised Ethiopia's anti-terrorism law, accusing the government of using it to silence dissent and curb freedom of expression. The Ginbot 7 group is considered a terrorist organisation under Ethiopian law. Its name commemorates the Ethiopian calendar date -- May 15 in the Gregorian calendar -- when post-election violence in 2005 left over 200 people dead.